The Tune Zoo offers users (young and old!) a unique opportunity to explore many aspects of music, including different fundamentals like harmony and key, as well as four different types of scales from around the world. It’s simple enough for a preschooler to play with and deep enough to engage an adult musician, which is quite an accomplishment. 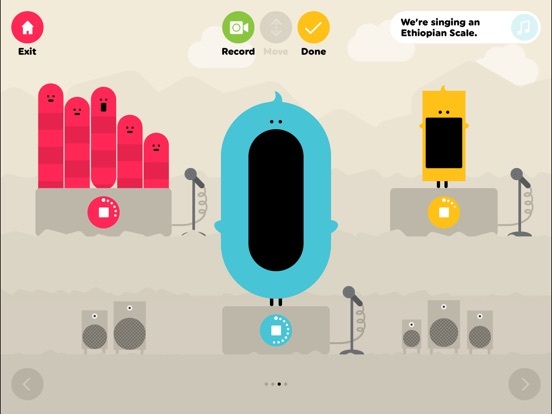 The Tune Zoo is a very high-quality app that will open musical doors for users of all ages. The interface is very intuitive, and even the youngest users will be able to create satisfying music. Some of the “instruments” (such as riffs and rhythm backgrounds) can be turned on or off and modified. The melody-carrying instruments can be used separately or together. The app might benefit from a more detailed “About” section. It currently contains information about the company, copyright, and privacy info. It would be really great if the developers included more information about the value of what they are offering, especially designed for the parents of younger children. At the present time, there is a minor intermittent bug (that developers are working to fix) that may cause some trouble with saving a recording. The “Save” link at the top of the pop up does not always work. If this happens to you, you can still save your creation. Just choose the “Share” button on the same pop-up, and use the “Save” button on that list of options. It’s also worth noting that I contacted the developer about this problem, and found them to be extremely responsive and helpful, not to mention very fast. Nice job! This app offers an incredible opportunity to explore a wealth of aspects of music that are frequently overlooked in other music apps. It seems to be unique in that it offers four different kinds of scales (pentatonic, blues, Ethiopian, and Indian), as well as the ability to see the musical notation of the scale in any key. 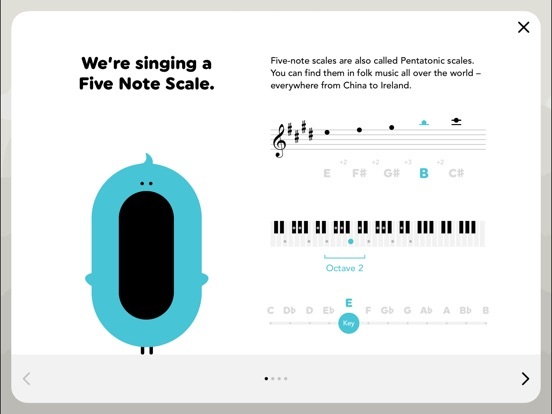 Each scale features an informational page that offers some background and will help musicians understand how it works. The main page of the app shows a selection of “instruments,” including speakers that can be turned on and off to play riffs, speakers that play rhythm, notes and two “sliders” that play other music. The speakers play automatically to provide background, and the three “instruments” that play melody can be controlled easily by the user. There are lots of options, including changing keys, scales, and registers. Musicians can create loops of music that can be played simultaneously, and can record their creations when finished. Finished videos can be shared or saved to the device’s photo stream. All in all, it’s a fun and no-pressure way to experiment with lots of aspects of music. 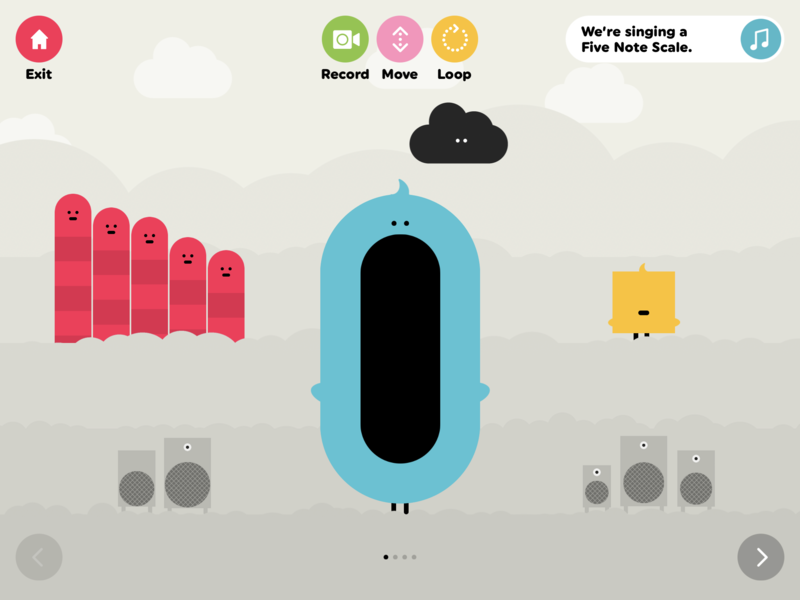 Developers of this app did a great job of making the music production process engaging and entertaining. Aside from the sheer joy of creation and the capability to actually create and record serious music, the animations are lively and fun. 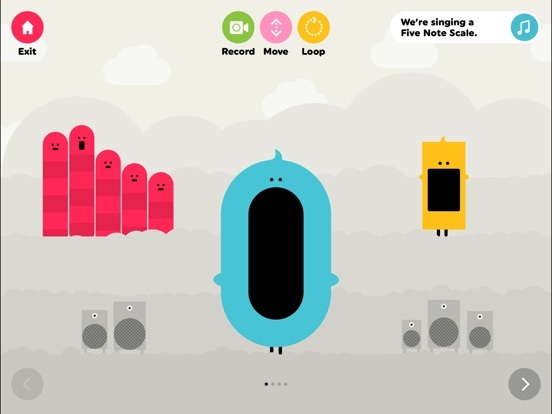 On the main screen, the speakers and instruments pulse with the built-in beat (even when you turn the rhythm section off), and the instrument-creatures open their mouths to “sing,” slide up and down the scale with a dragging motion, and much more. You can even produce quavers and other effects by dragging sideways. 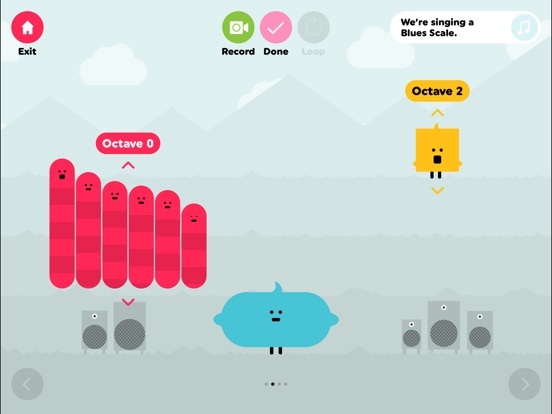 The Tune Zoo is $2.99 in the App Store. This may seem like a bit of an investment, but it would be well worth your while. 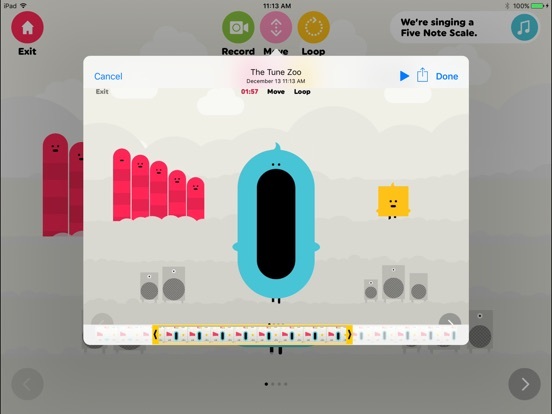 The Tune Zoo is a highly-versatile app that will entertain and occupy even the very young while educating and teaching about music fundamentals, harmony, and more to more experienced and dedicated musicians. The capability to record creations will lead to some outstandingly creative pieces!